The Music Moves Europe Talent Awards are the new European Union Prize for popular and contemporary music. These are the very first winners at the Music Moves Europe Talent Awards. 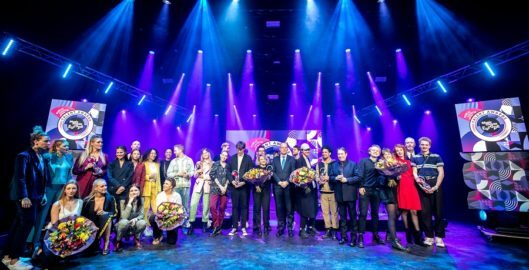 ESNS 19 celebrated emerging European artists at the award night at de Oosterpoort in Groningen, with performances by Bishop Briggs, Pip Blom, Reykjavíkurdætur, Albin Lee Meldau, blackwave., Avec and Lxandra. Succeeding the European Border Breakers Awards (EBBA), the annual Music Moves Europe Talent Awards are co-funded by the European Commission’s Creative Europe programme, with the additional support of the Municipality of Groningen, Province of Groningen and the Dutch Ministry of Education, Culture and Science. The awards are presented by ESNS and Reeperbahn Festival, in cooperation with Yourope, the European Broadcasting Union (EBU), Independent Music Companies Association (IMPALA), International Music Managers Forum (IMMF), Liveurope, Live DMA, European Music Exporters Exchange (EMEE) and Digital Music Europe (DME).